For private parties, please click here. · Tickets are $18 each for parties at the studio and $20 each for local events. You will order the number of tickets needed, in the form below. A $100 non-refundable deposit for tickets ordered is required upon booking to hold the date. This will go toward the total amount due. Remaining money for the number of tickets ordered must be paid to the instructor, no later than, one week before the event. Ticket price is based on location. "Local" is considered to be within an 18 mile radius of my home. Generally, this means between Huntingdon and Lewistown. · Minimum of 10 tickets; maximum group size is 30. This allows for more personal instruction for the guests. If you would like to sell more than 30 tickets, multiple days or sessions are a nice option. · Ticket price is chosen by the hosting group. Desired profit and extra costs should be added to the $18($20) when determining the final ticket price (food, venue, or advertising costs, etc.). · The hosting group provides desired refreshments and any decorations. If you are not using the studio for your fundraiser, you need to book a venue, tables, and tablecloths. 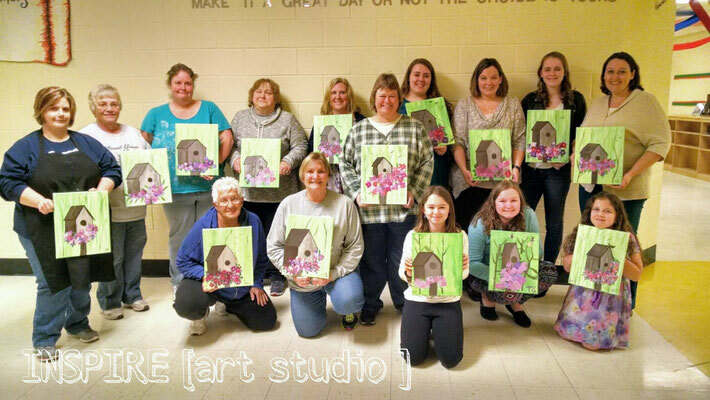 · The hosting group is responsible for selling tickets, paying Rachel on time, advertising the event, and preparing the space prior to Rachel arriving (if the fundraiser is somewhere other than Inspire Art Studio). · The painting will be chosen by the hosting group and Rachel. · The event will be advertised on my website and shared on Facebook, upon request. · Online ticket sales are an option. Please ask for details. If you would like to book a Fundraiser Paint Party, please fill out the booking contract below. Choose an estimated date you would like to have your party. This date may or may not be available, but it will give us a starting point. If we have already discussed a date, please select that. Would you like more than one day for this event? What time would you like to start the party? Would you like printable tickets with your event information emailed to you? 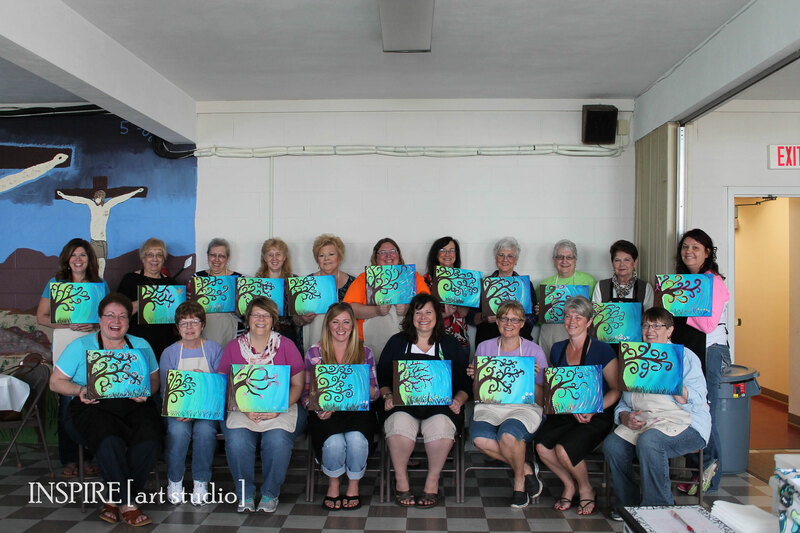 Do you have a painting in mind?